We are responsible to steward what we have been given, and I include in that stewardship our neurochemistry. Approximately ten percent of us have neurochemistry that includes 1) some neural structures which are less developed, 2) with less connectivity between some of our neural structures, and 3) with inefficient electrochemical communications within our brains. Some of us have been given children and students with this kind of neurochemistry. We intuitively sense there is something different about these children. As Mason teaches us, we have accepted our “duty to educate [our] child into moral strength and purpose and intellectual activity,(1989A, p. 102)” and we have been diligent to do everything we know. We cannot put our finger on it, but something gnaws at us about them. The broad curriculum, this wonderful feast of books and things does not seem to invigorate them in the way it does other children; they “have to be in the mood” for even inspirational things like nature study. Their upper school authors, some who are such eloquent, insightful wordsmiths seem to pass these students by. Some subjects even become sources of emotion: “Latin is so dumb!” “I hate poetry!” Math proves a stumper to them and us. How can this student who worked through this problem yesterday with me, explained it, and got the right answer not understand it today—almost like it was erased in her mind? We love how Mason champions the personhood of the child, how the individuality of each child is respected while maintaining life in a community. We embrace the freedom that each child can develop at his/her own rate. While we know we don’t want to fit all children in a standard box, we have this sense deep down that troubles us about these children and we notice that in some areas they get further and further behind. We worry about these kids’ dependence on us or other adults. Narrations of books read together with the parent are richer, more detailed than those they do alone or even with others at a co-op. They seem to need more handholding, more cheerleading, more reminders for everything. Self-education seems elusive. Often the more we try to shift tasks to them to do independently, the more careless and shoddy their work becomes. Except for the few things that really seem to light their fires, we have to stay on top of these children to get most things done. Will this child ever learn to be reliable? Will they ever carry through on things without my constant supervision? Inconsistency seems to plague them. They certainly can give their full attention and effort when they take a mind to. They cannot get out the door on time and prepared for school, swim team or music lessons, but you let Grandpa take them hunting and see what happens. The night before, oh my! This child who cannot keep his room tidy or put his laundry away, has checked and cleaned all his equipment, and carefully arranged them beside his neatly folded camouflage clothes. And he is in bed early without a beep of argument! We worry about their diminished abilities to be focused internally, to have an inner vision with that inner oomph or drive to carry out that vision. They are like a boat adrift that cannot keep its rudder in the water to give it any directionality. But when they do latch on to an idea or something they want to do, it is often not a very realistic goal, more like wishful thinking. They do not think through things well, and their hasty decisions and judgment seem more like that of their younger siblings. They get stuck on minor things they cannot seem to let go. “Mary ignored me at school/co-op today.” “That’s not fair that Sammy gets to do that when you did not let me do that at his age.” Outbursts can seem to come out of nowhere and their ability to handle frustration seems more fragile. These children puzzle us and often take a lot out of us. When we overhear a lady complaining, “See my forehead? Well, dealing with my child has put every one of these wrinkles here; I don’t know what to do!” we well identify with her. What if all the things above are typical of kids with executive function deficits? Today with fMRIs and other neuroimaging technology, we know about the brain’s management or executive system and can understand executive functions (EFs). These are cognitive processes we use to control impulsivity (in mind, emotion and mouth), manage and organize tasks (to prioritize, plan, start activities), manage and protect attention, set and pursue goals, self-question and self-monitor our progress towards those goals, manage time, and use working memory (to remember what we are to do). We now know how delays or dysfunction in the brain’s management system causes executive function deficits (EFDs) that often prove to be very challenging issues. The tough thing for the CM educator dealing with dysexecutive students is that the neurological knowledge necessary to understand EF and EFDs was not available to Mason and the PNEU or anyone else at the turn of the 20th century. Consequently, no one had any strategies, any tools in their educator toolboxes to help them understand or support people with EFDs. Mason founded the PNEU “To bring before the parents of all classes the best thought on education” (Kitching, 1924, p. 133); we offer this seminar on stewarding one’s neurochemistry to try to bring the best thought on EF today so that we can have the tools (principles and compensatory strategies) to help us and our children/students steward their executive functions. Attendees should expect to share areas of concern they want to tackle, and the day will be structured to provide insight and feedback on those concerns so each person will leave with an individually tailored list of insights and practical tools to try. Since we cannot steward what we do not understand, we will delve into understanding the sound theory behind EFDs—just as Mason charged us: “One thing we begin to see clearly, that the stream can rise no higher than its source, that sound theory must underlie successful work (Mason, 1989B, p. 31)” (italics mine). We will take a brief overview of the neuroscience research of why EFDs happen (what parts of the brain are less active, less developed) and the difficulties dysexecutive individuals face (the neuro-psychology behind their problems). We will look at what does and does not cause these deficits and the implications of confusing the neurological and character lens. Smaller groups on a chosen developmental age will explore how these different deficits might show up in home life, academics, and relationships at that particular stage. By the end of our session, everyone will have lifespan list of typical challenges people with EFDs may encounter, will “know what trouble spots, what things can bite you and take you down with EFDs,” and have an executive profile assessment tool to take home to informally assess a child’s or adult’s EF strengths and weaknesses. “We begin to suspect that we took up schemes and methods of education a little hastily, without considering what philosophy or, let us say, psychology, underlies those schemes and methods; now, we see that our results cannot be in advance of our principles (Mason, 1989C, p. 63)”(italics mine). Equipped with a solid philosophy, a neuro-psychology to underlie our methods, we address methods needed to support persons with EFDs, both with core strategies that apply broadly and specific, practical applications. We will bring our knowledge of EF and EFDs to burrow into examining tasks that Mason students are asked to perform by evaluating what executive capacities are required for such tasks as reading, narration, math, composition, geography, etc. We will discuss how dysexecutive students may react when requested to do things beyond their capacities. We will demonstrate adaptive strategies like “squiggle notes” and “dump, group, decide” that support the dysexecutive students with narrations and composition. Further, we will look at graphic organizers and templates that provide executive support in math. Discussing how using Vygotsky’s zone of proximal development works, CM educators can zoom in and out with strategies to support students’ executive weaknesses. Adjusting expectations of such things as pace, the time needed in a schedule, the quantity of reading, and the number of curricular subjects will be addressed. Although executive functions are also associated with other special needs, such as Autism, these are beyond the scope of this seminar. Our discussion will be limited to some executive functions related to ADD and ADHD. Prayer for each other will finish our day as we return to our places of living, teaching and serving those with EFDs that we might better steward the neurochemistry we and those in our care have been given. Mason, C. M. (1989A) Home education. 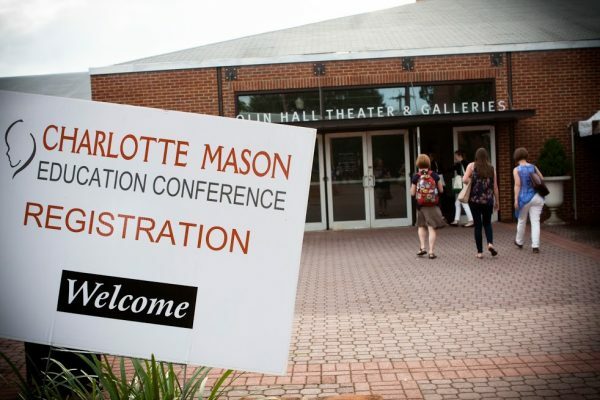 Charlotte Mason Research and Supply Company. Kitching, E. (1924). In memoriam. London: PNEU. Mason, C. M. (1989B). A philosophy of education. Charlotte Mason Research and Supply Company. Mason, C. M. (1989C). School education. Charlotte Mason Research and Supply Company. p. 63.